On 30 October, I had the opportunity to visit The Prado Museum in Madrid to meet with the conservators and researchers who had been studying “Christ Washing the Disciples’ Feet”, an oil painting by Jacopo Tintoretto, 1548-1549. There is also a version of the same painting which is part of Tyne & Wear Archives & Museums’ collection and is on display in Shipley Art Gallery, Gateshead, UK. 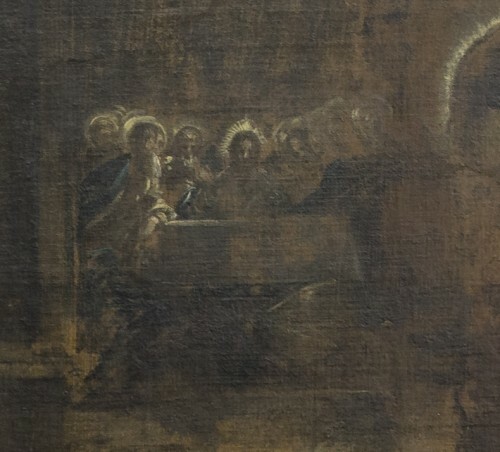 Both have been authenticated as “of the hand of Tintoretto”. 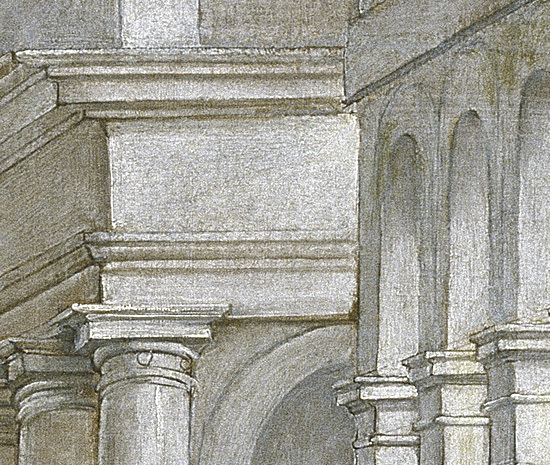 The original composition was painted in 1547 for the church of San Marcuola in Venice. It attracted the attention of collectors early on and by 1648 it was purchased from the church and replaced with a copy by the painter Carlo Ridolfi. What happened to the painting next is less certain. One version of the painting made its way into the collection of King Charles I of England and now hangs in the Prado Museum in Madrid. Some believe this Madrid copy may be the original; the Shipley Tintoretto, however, bears the closest resemblance to Carlo Ridolfis’ replacement suggesting it may be the original. There is reference to a painting by Tintoretto of this title in a sale of work owned by Sir Joshua Reynolds in March 1794. This was bought by Berwick, but we cannot link this definitively with the Shipley painting. 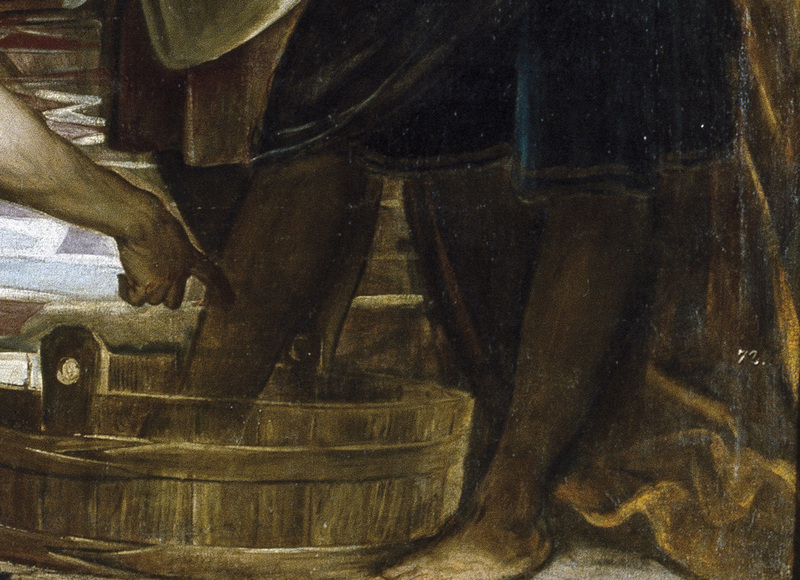 The Shipley Tintoretto can be traced to the Delahanty collection, where it was sold at auction by Philips of London in June 1814 to the collector, H. Baring. Baring sold it the very next day to Sir Matthew White Ridley of Blagdon Hall in Northumberland. In July 1818, Ridley gave the painting to St Nicholas’ Church in Newcastle (which would become St Nicholas’ Cathedral in 1882), where it hung behind the altar. 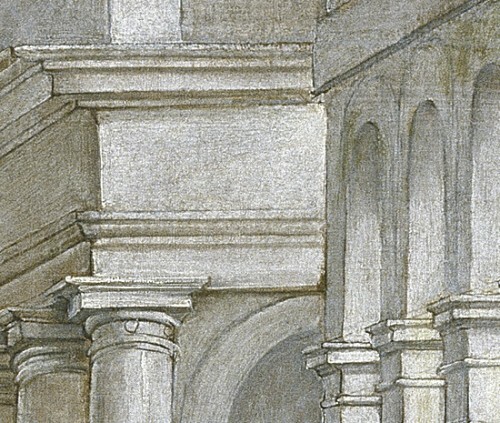 After many decades in the church, the Tintoretto was loaned to the Shipley and eventually purchased in 1986. We are currently working in partnership with the Conservation Department at Northumbria University to analyse the Shipley painting. Along with the help of the Restoration and Analysis Department at the Prado, we are hoping to do a comparative study of the two paintings. The Prado painting has already had a lot of research done on it and I was very grateful for the generosity of the staff there for sharing their insights with me. I now have a head full of things to look for in our picture, some of which I have already managed to find. What was really interesting, after having seen the two paintings in the flesh, is that they are as equally different as they are the same. The Prado painting is undoubtedly brought to a finer finish and has far more paint applied, particularly in the back ground. 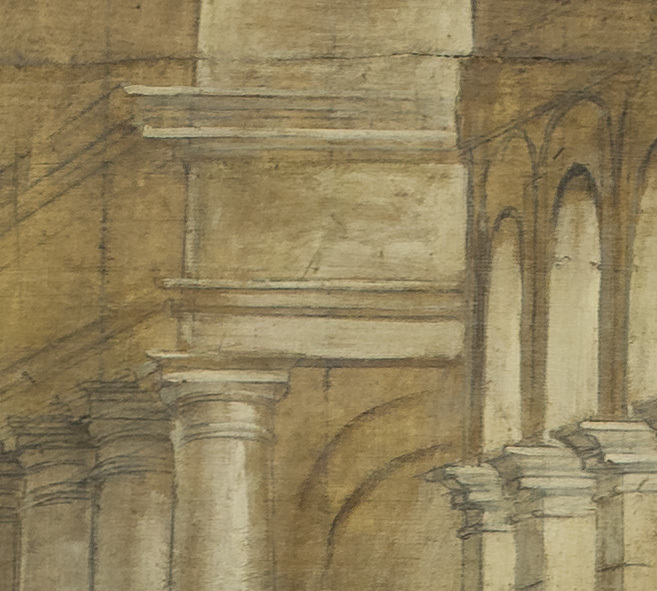 In the Shipley version, the artist has used the priming layer and underdrawings to create the background. Whilst the underdrawings are still visible in the Prado version, a layer of lead white covers most of the background making the overall effect much brighter. The Shipley painting is not in a particularly good state and has had several rather crude repairs made to it, as well as having been over-cleaned in the past, causing considerable loss to the thin paint layers in some areas (particularly the bottom right corner). Some areas are also down to the ground. Left image of bottom right corner of Shipley painting has suffered serious damage and paint loss compared to the Prado version on the right. However, the decoration on the hem of the left garment is more detailed. Despite the Shipley painting not being in as fine a finished state as the Prado version, there are some areas where we find more details. 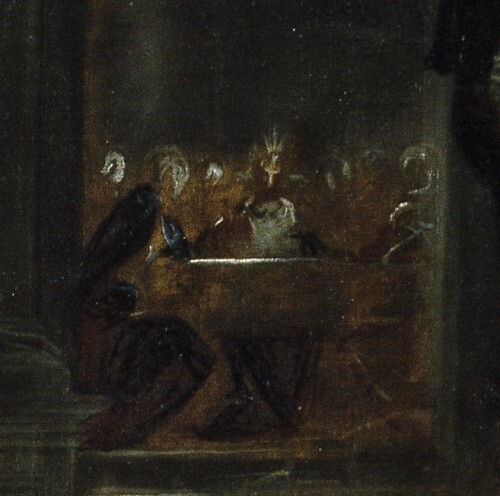 For example, the background scene of the last supper which is quite detailed in the Shipley’s, but far more sketchy in the Prado version. Above the vignette of the last supper seen in the background of both paintings, in the Shipley one on the left the details and figures are clearer than the Prado version. 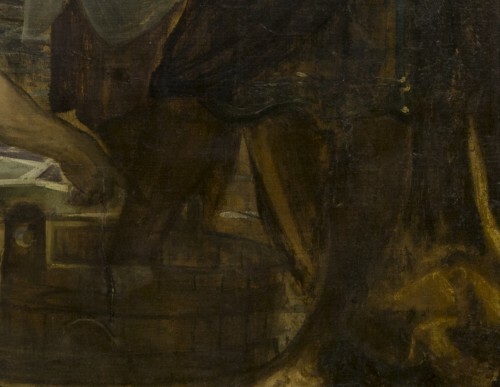 Rather interestingly on the x-radiography taken of the Prado painting, square paving stones can be seen underneath the paintings of the figures. These have been changed into lozenge shaped tiles in the upper visible layers. My favourite bit of information from the Prado’s x-rays is the large nail hole in the centre of the vanishing point where the string was attached to mark out the perspective. 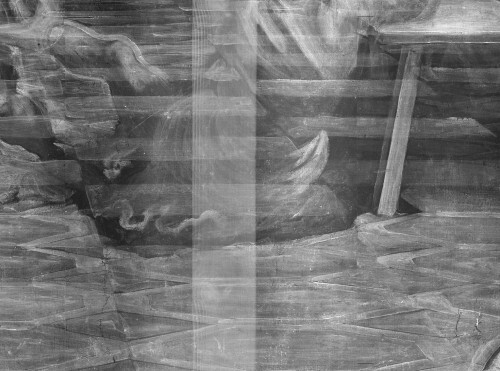 Details from the X-ray of the Prado painting on the left, you can see the square tiles under the figure, and on the right you can see the hole where the nail has been hammered through the canvas. 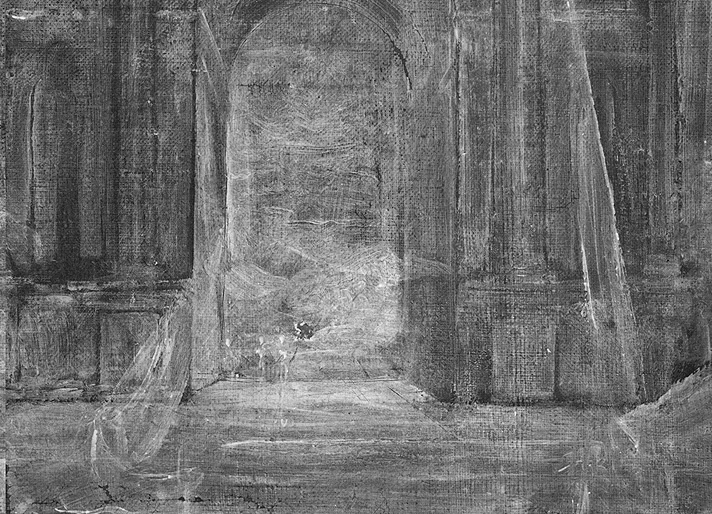 Going forward, I would like to find a way of x-raying our painting to see if we have similar features. Also further pigment analysis would be a must. I am hoping with the information and connections we have made between the two museums, we will be able to move forward together to unlock more information from these two important paintings. ‘journeys a history lesson. Conservation Officer Flynn did an amazingly thorough investigation. Brilliant stuff! I think that we have the original!